Today I have a different kind of guide for you - this was actually inspired by one of you emailing me to ask if I had any suggestions for alternatives as one of your children couldn't eat the chocolate, so thank you for the idea, it's a great one! I scoured the internet for the best and weirdest advent calendars I could find as well as trying my three favourites, so here we go! 24 tealights in 8 different scents. I've loved the trend for beauty advent calendars, but they're usually crap or expensive, sometimes both. I saw the Yankee Candle advent calendar last year but decided it was too expensive - however, this year they released different price points for their calendars and at £20 this is perfect for an early Christmas gift (for yourself). On the first day you're given a glass tea light holder to use with each of the candles you receive which I thought was a great addition. You get 8 different scents meaning you receive 3 of each, but they're well spread out within the calendar so you don't get the same thing two days in a row and they're a great range of scents so there's something that everyone will enjoy. If you like to put your pyjamas on and feel cosy in the evening, then this is the perfect calendar for you. Okay, I know this technically includes chocolate but we'll ignore that because this might be my favourite calendar out of every single one that I've looked at. 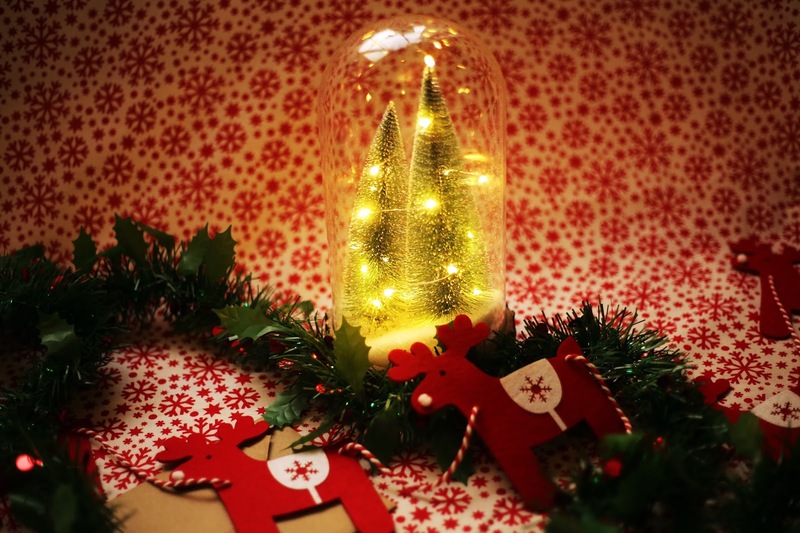 For £20 you receive a kit with 24 paper reindeers and 26 balloons (two to accidentally pop, of course), twine to hang them up with and a plastic needle to pop it. I absolutely love the concept of this and it's a great fun alternative to your standard Christmas calendar. However, the string they give you is a bit ridiculous - having taken an hour to inflate all of the balloons and thread them onto the string I stood up and realised that no house is actually big enough to hang it up, so they're now blue-tacked all the way up the stairs, which to be honest I prefer. It's a reminder to open my calendars every morning! I always love the idea of makeup or skincare calendars, but I tend to have a habit of not getting round to using the products inside, which is why I love this calendar. Each candle has a burn time of around 3 hours and the bath fizzers are single use so you're not left with loads of Christmas-scented products after the big day. Ok, the soaps are going to take a bit longer to get through but they're not overly festive scents so you could get away with using them in January and just feel cosy instead. I feel like usually if you get soap or any kind of bath products at Christmas they're usually cheap and not very good for your skin; I love this calendar because even though it's very affordable Baylis & Harding always do great quality products so you know it's going to be good for your skin. I know I only scratched the surface on advent calendars but I couldn't afford to buy loads to test. If none of these took your fancy, I've put together a little list of my "honourable mentions" for you below so take a scroll and see what you fancy! What's your favourite kind of advent calendar? Let me know in the comments below!